There was no way I was going to be able to do the mud baths today, it was just going to be impossible, so I stayed in the hotel room close to the facilities. Luckily we had pre-arranged a late checkout as we weren’t due to leave until 7, so we had the room until 6pm, I drifted in and out of sleep, but with a constant reminder that all was not well. By lunchtime, things had started to calm down so I decided to get some fresh air and a walk on the beach. Nha Trang beach was fairly busy, but I managed to hire a sun lounger in the shade for £1.50 and I just sat in the shade for a couple of hours reading my book. It was very peaceful and relaxing, and I wasn’t really bothered by anyone trying to sell me stuff, which was really good. Soon I headed back to the hotel to grab a shower and pack up the last of my things before heading to the train station for our second overnight train. 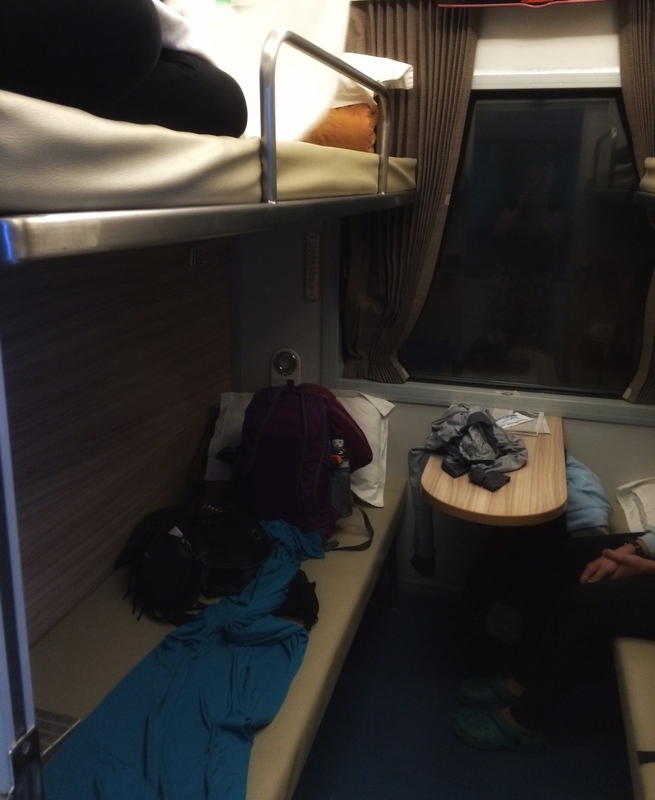 I could tell people weren’t that impressed when the train pulled into the platform as the first half a dozen carriages were seats and then the other few were tiny with 6 bunk beds in, but our carriage finally arrived, and it was pretty much similar to the first train. Again, I shall let you know in the next post how the journey from Nha Trang to Da Nang went.